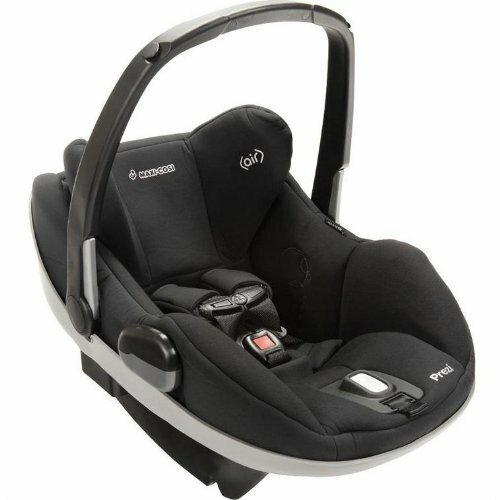 The Maxi-Cosi Prezi Infant Car Seat combines two technologies which provide superior side impact protection for your little one from birth all the way to the thirty pounds. G CELL technology, an advanced patented rebounding foam technology with hexagonal shapes, mitigates first impact energy. Air Protect side impact protection is designed to protect where it's needed most - around the head - by immediately reducing impact forces through the precise release of air. 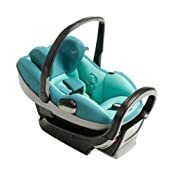 Together, these technologies provide superior side impact protection for children in the event of crash. 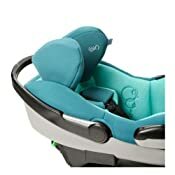 The Prezi features a European-style sun canopy, ergonomic parent handle, easily adjustable head rest, and a deep seat pan which provides extra leg room. 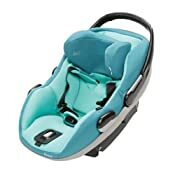 Accessories available separately include: Rain Cover, Insect Netting, Footmuff, additional Car Seat Base. 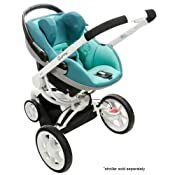 Rear facing 4-30 pounds and up to 29"